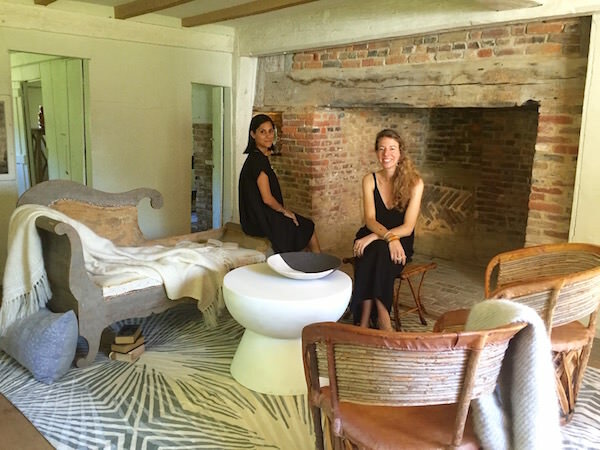 As a board member of both the Nantucket Historical Association and the New York School of Interior Design, Maria Spears was instrumental in orchestrating a unique and creative event for Nantucket by Design. 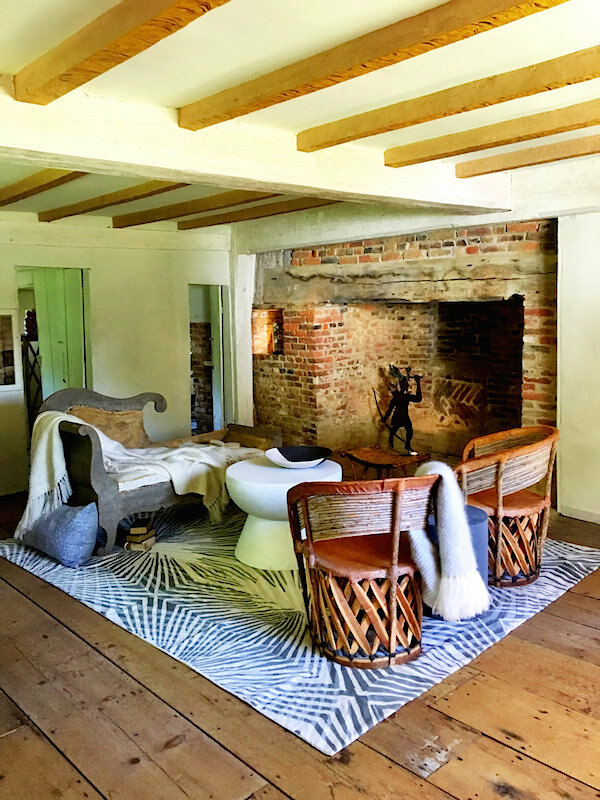 Nantucket represents the best of old and new and in thinking of how to meld the island’s history with the power of design, a group of NYSID students were invited to reimagine two rooms in Nantucket’s oldest house. 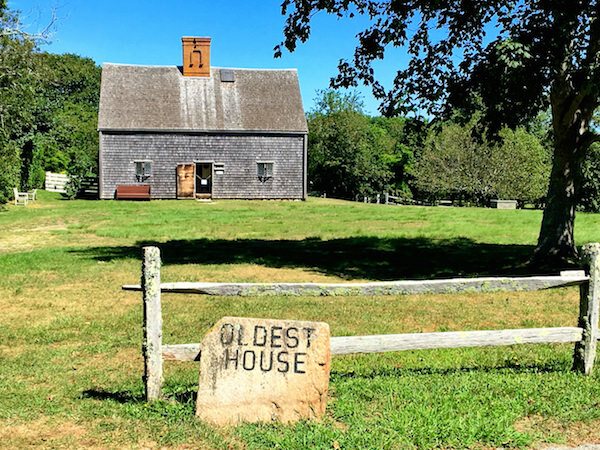 Built as a wedding gift in 1686 for Jethro Coffin and Mary Gardner by their fathers, what is now known as the Jethro Coffin House, is not only the oldest house on island but the sole surviving structure from the Nantucket’s original English settlement. As Vice President for Academic Affairs and Dean at NYSID, Ellen Fisher selected and oversaw two undergraduates and two students pursuing their MFA’s in Interior Design for the project, below. 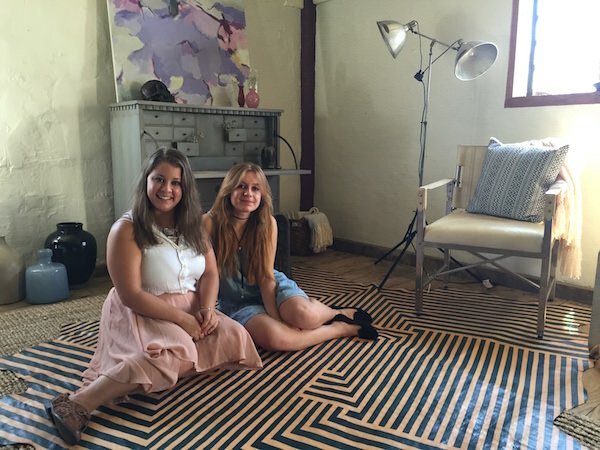 The living room, designed by MFA students, Tom Elka and Larissa Moutrier, below, was entitled Vagabond Soul. As international students, originally hailing from Israel (Tom) and Luxembourg (Larissa), they intended the room to express cultural exploration and the passing of time. 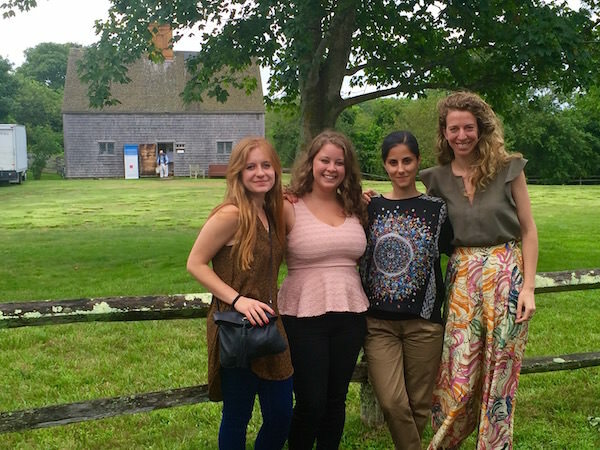 Just as the original Nantucket settlers traveled long distances to eventually call the island home, so these two young designers have traveled far to continue their studies and settle in New York. 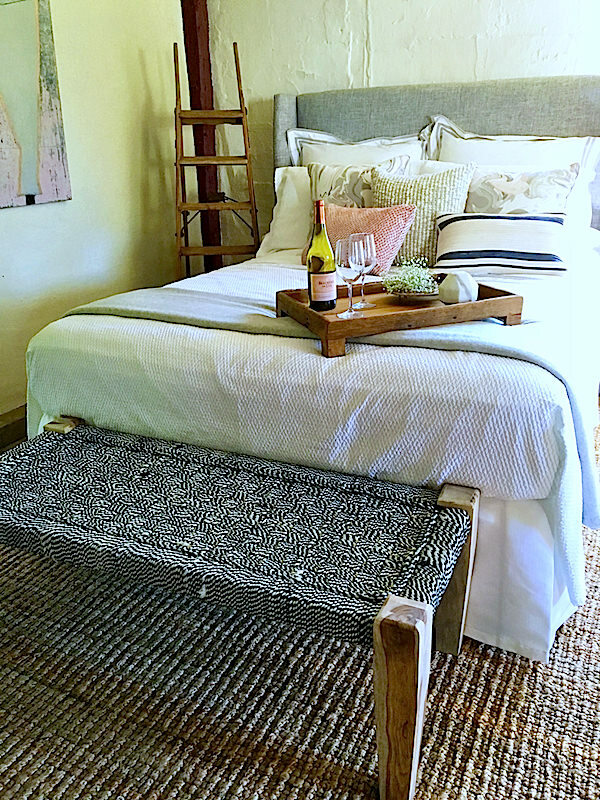 Working with many island resources, they carefully selected furniture to reflect timeless craftsmanship and artisanal traditions as well as an awareness of the centuries evolving in the space. sharing a magpie’s gathering of art and meaningful treasures collected on their journey to a new home. In memory of the house as a wedding gift, the designers wanted to capture that sense of emotion and warmth within the context of an antique house, while bridging the gap between historic structure and modern lifestyle. 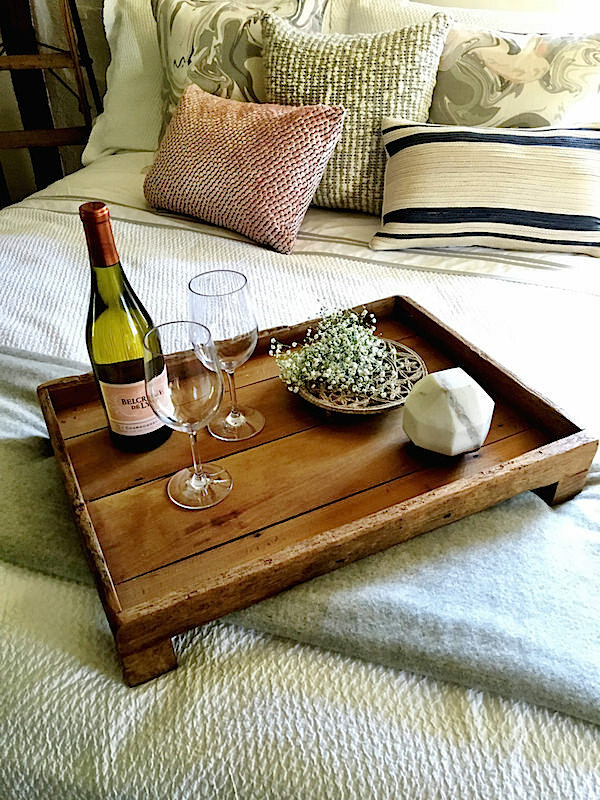 Including what could have been the couple’s personal possessions, they transformed an empty box into what would have been the newlywed’s new home together. 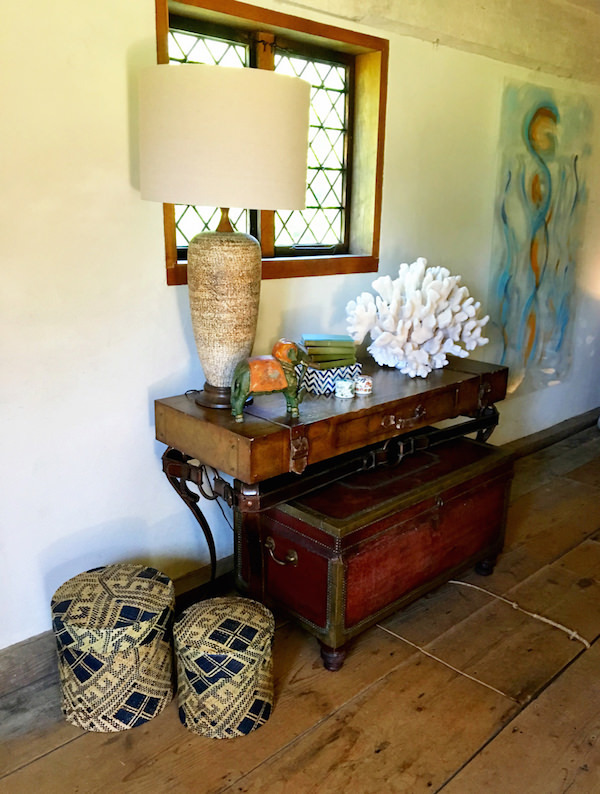 As in the living room, the bedroom represents old and new with selections from many of Nantucket’s antique and design shops. 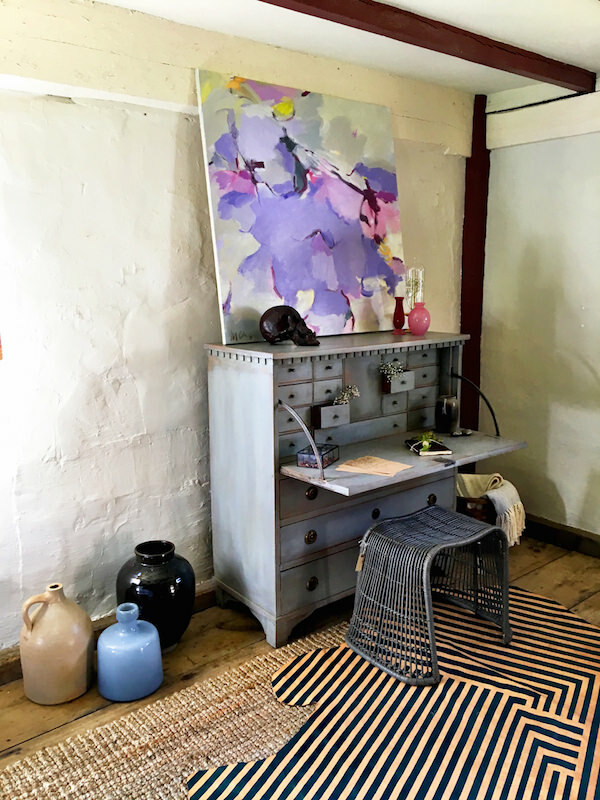 Using soft colors, an airy mix of textures, patterns and art, the room represented an intimate place for work, leisure time and romance. 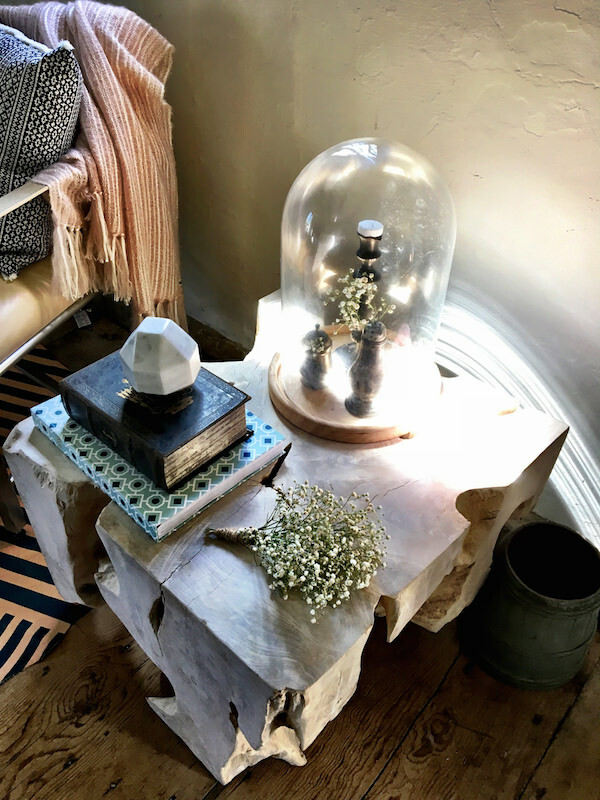 And while telling the house’s historic story with rustic simplicity, this charming moment brought the room forward with a nod toward a modern lifestyle. 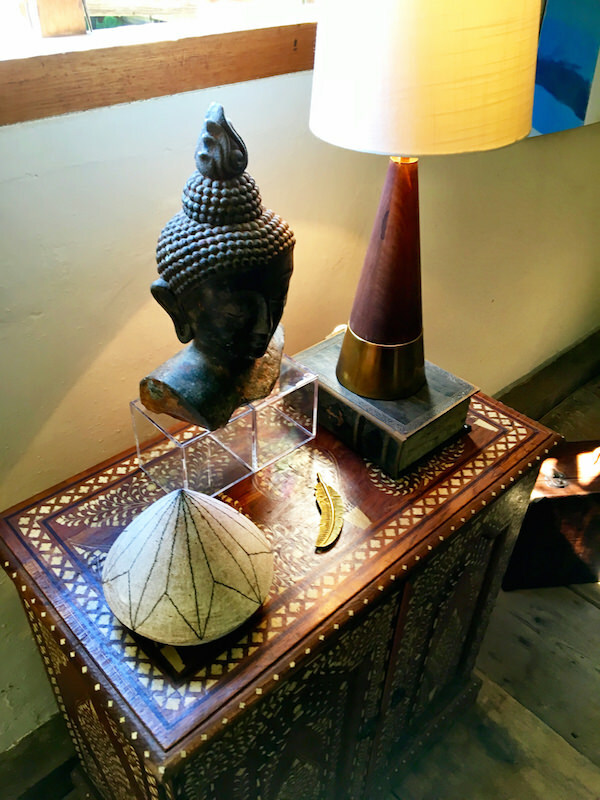 This entry posted in architecture, art history, furniture, history, interior design, Nantucket, travel. 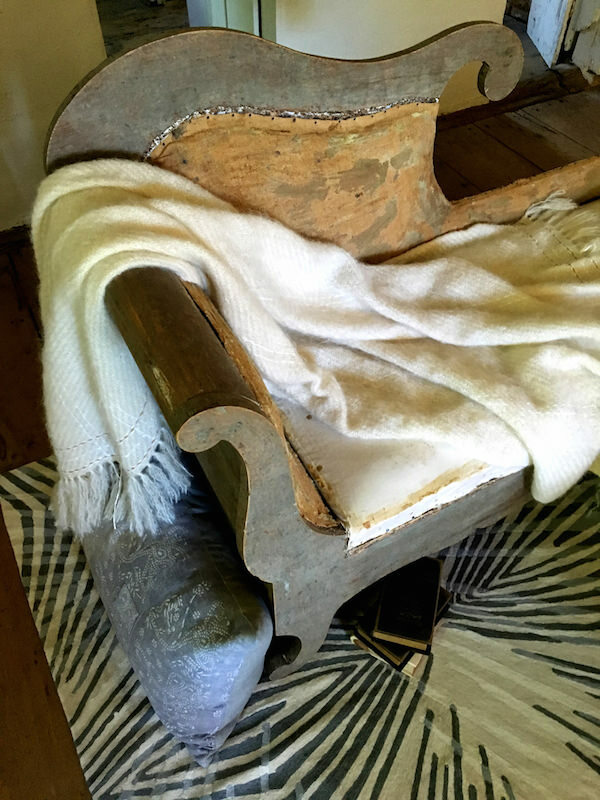 Entry Tags: history, interior design, Nantucket, Nantucket by Design, NYSID Bookmark the permalink. What these young imaginative ladies created within these old walls was interesting and somewhat quirky yet soothing!!! What a brilliant idea that I would like to encourage to be done here in Bermuda in one of our old properties. Very inspirational! Lovely project. Thanks for sharing with us! I’ve looked at these photos several times with a tingle of excitement. The house is so well preserved. The wide plank floors and fireplace are the soul of this interior, and I would say the heart is the thoughtful and imaginative interior design of these students. 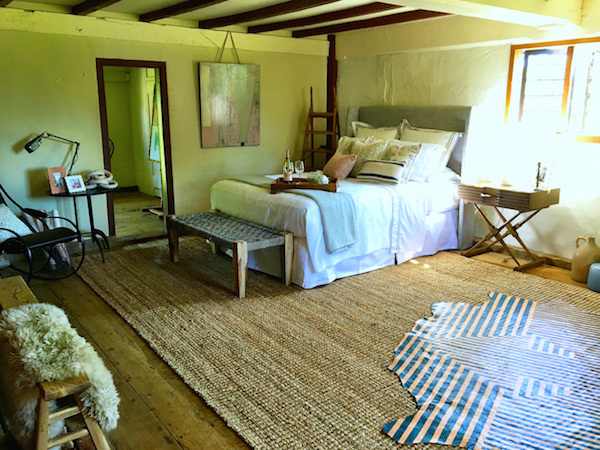 I particularly love the woven fabrics of the bed covering and pillows, the sea chest and simple shapes of the pottery. All in all a most satisfying project. 80 queries in 0.550 seconds.